Hello iOS users! 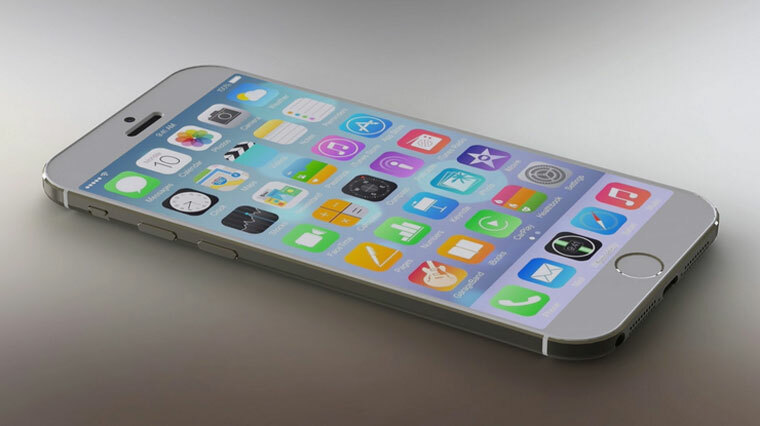 Welcome to our latest #iPhone6 article. We bring you 12 iPhone 6 issues and solutions in this post so we hope you’ll enjoy reading it. For a few weeks now I’ve noticed my iPhone 6s becoming increasingly glitchy. A few times all of my photos were deleted from the photo gallery. I did research and I was able to get them back by deleting apps. However, I’ve had to do this 7 times now and for many of those times, there was still space on my iPhone for there to be the amount of picture I had. My phone tends to freeze up more and more frequently. However, the worst glitch that I have had to live with being unable to resolve it is not being able to download any apps or update any of my current apps. Any game I want to download, free or paid, the same message comes up whenever I try to download it, “You’ve already purchased this, so it will now be downloaded at no additional charge.” But none of the apps begin to download. There is an app, however, that has been stuck in the waiting phase of updating and I can’t cancel it or delete the app at all. I’m worried that if I do a hard reset on my phone that I still won’t be able to download anything and then my iPhone 6s would be only good for making a few calls from time to time. In addition to my pictures being deleted at random times, my contacts have also been deleted once for no reason at all. Solution: Hi Isabella. There’s no way anyone can track the true cause of all these problems (if they’re due to same issue) so it’s better if you can address all of them in one fell swoop. You can do that by resetting all settings and/or restoring everything back to defaults. We assume of course that this phone was not jailbroken but if it is, just continue with the Reset All Settings option first. Scroll down to bottom and tap General. Scroll down to the bottom again and tap Reset. Once you’ve reset all settings and the problem persists, the next troubleshooting step, if your phone is jailbroken, is to remove the jailbreak software. This procedure will return all your phone’s settings to its original setup, so it’s basically like a factory reset. Keep in mind that you’ll access to Cydia Store and other non-official apps and software after this. As of this writing, the latest iOS version is 10.3.3 so once you’ve removed the jailbreak software, the software will be reverted back to this iOS iteration. Fortunately, there’s already an existing jailbreak software for this version as well so simply re-jailbreak your device once you get rid of your issues. Make sure that you have the latest iTunes in your Mac or PC. If you already have an updated iTunes installed, create a backup of your device. If you’ve already done this ahead of time, just skip this step and proceed to the next. Connect your device to a PC with iTunes installed, or to a Mac via USB cable. If you’ve set up a passcode, unlock the device by entering the correct passcode. Under Settings, go to iCloud>Find my iPhone and turn it to OFF. Enter the correct password for your Apple ID. In your computer, go under iTunes, click on the Devices icon, and select your device. Click This Computer under Backups. Click Backup Now and choose Backup Apps from the Alert Window. Click Restore iPhone and tap Restore in the alert window. iTunes will now reset everything to its defaults and the entire process of downloading and reinstallation of software can take several minutes depending on your computer and connection speed. Afterwards, just follow on-screen instructions on how to restore your iPhone from the backup you created before. Any of the steps above should fix the problems you encounter. If all or some of them returns afterwards, contact Apple support. There may be a deeper hardware or coding-related issue, especially the one that causes the device to freeze. Freezing is one of the common signs of hardware malfunction so doing software troubleshooting will not fix it at all. My phone was purchased on 6/30/2017. Today 7/28/2017, less than 30 days later my phone will not take a charge. Took to neighbors to try their chargers. I tried the system reset by holding the home and off button for 20 seconds. I blew out the charging port to make sure I had good contact. Hey guys, I’m very frustrated in the battery issue am having with my new phone. My daughter took me to get my first Smart Phone. Without hesitation she made me purchase an iPhone 5S because it would be the best, easiest, toughest, most appropriate phone for me. Purchased it from Verizon store in Meridian Mall many years ago. GREAT PHONE…It died because of a battery issue so I upgraded to my new iPhone 6 and had high hopes. Suddenly my new will not take a charge. Less than 30 days old. Solution: Hi Eric. If your phone is totally dead, that is, it does not show any signs that it’s turning like vibration during restarts, sound notifications for incoming messages or alerts, there’s nothing much that you can do about it. A totally unresponsive device usually is due to bad hardware such as a broken battery or power IC so it requires a physical checking by a qualified technician. We don’t know the full history of your device to be able to say for sure if bad hardware is to blame in this case but whatever it is, you want to ensure that the device is handled by a professional. Hi. i recently purchased a fully carrier refurbished iPhone 6 from eBay. As soon as I plugged the charger in, the screen showed the charging battery logo, but soon after started showing blue and red lines vertically and horizontally. Now the phone shows no logo when plugged in, and appears to be off. But when plugged into my Macbook, iTunes shows the battery life, apps, etc. iTunes recognizes it but I have no display or sound. Solution: Hi Bryant. That your phone appears to charge and get detected by your Macbook is an indication that it powers on. Unfortunately, the issue appears to be screen related. Any screen discoloration or colored lines running either horizontally or vertically is a sign that the screen is defective. Colored running lines usually appear after a screen has been subjected to too much pressure. Your phone was either damaged during delivery, or was already broken before it was even sent to you. The best course of action for you is to get a refund from eBay. If that’s not possible, you may be able to have the device replaced by the seller. A damaged screen requires a screen replacement so unless you want to shell out another $100+ for the repair, getting a refund or device replacement is the only way to go. If your phone does any or all of these things but the screen stays black, the screen must be broken. To see if that’s the case, make sure to leave the phone charged for at least 1 hour using another known, working charger. If it stays dead, have the phone repaired or replaced. Solution: Hi Reneventer1708. About two years ago, Apple recognized that a number of iPhone 6 devices shipped with defective cameras. According to them, only devices sold between September 2014 and January 2015 were affected so we can’t be sure if yours is one of them. If a full restore (steps provided above) won’t fix the issue, we suggest that you contact Apple support or visit this link. Solution: Hi Arabella. We suggest that you return the phone to the shop who did the repair. An iPhone 6 screen replacement can sometimes be a tricky procedure, even for experienced technician and if not done properly, may compound the original problem, or create an entirely new one. The shop must track where the point of failure is and fix it accordingly. Solution: Hi Don. Does your phone run the latest iOS version? Sometimes, iOS bugs can be fixed by installing updates so make sure that you update the operating system first. Alternatively, you can also do a full restore. This will force the phone to return all software settings to their defaults, which means that the missing wifi indicator in the status bar should reappear. If that won’t work either, make sure to check with other wifi networks. If your phone can detect other wifi networks but not the one you’re having a problem with, you must troubleshoot said network (if you are the administrator). If your phone continues to fail to detect other wireless access points, the networking chip may be malfunctioning. Contact Apple for support. Solution: Hi Ed. Touch ID sensor is coded to the motherboard so if the original Home button got replaced during screen replacement, Touch ID won’t work at all. If the original Home button is still in place but Touch ID doesn’t work still, then the flex cable located behind the LCD shield plate may be damaged or there may be other complications during repair. The reason why the device won’t accept the passcode, or processes it slowly may be due a faulty repair too. This can’t be determined by speculation though so you must have the phone checked by a professional to identify the reason. Solution: Hi Daniel. A screen replacement procedure is supposed to fix a broken screen by replacing the old one with a new screen. After that, the new screen is expected to work normally again. That it doesn’t happen is a clear indication that there may be another problem with the device. The unnecessary shock during the incident must have damaged the motherboard as well, resulting to the intermittent screen problem you’re experiencing. An issue like this is not easy to diagnose and/or fix so let an experienced technician check the phone. Our blog does not provide hardware diagnostics and troubleshooting tips so if you intend on fixing this issue, or identifying its cause, visit other sites. I have an iPhone 6, factory unlocked on T-Mobile. I can make and receive calls both with wifi calling and without it. However, if I am not on wifi my microphone is dead. I can still hear but they cannot hear me. Solution: Hi Rich. It’s the first time that we heard of this particular issue so it may be isolated to your device. There may be an unknown firmware bug causes the microphone to stop working when you’re not on wifi calling. We suggest that you let your carrier know of the issue to see if they’re aware of it from some of their customers. Otherwise, contact Apple and consider getting the phone replaced. Solution: Hi Bob. There are a number of causes why email fails to send but we think yours may be account- or network-carrier related. To check if it’s in the account side, try to send an email via webmail. We don’t know what email account you’re having a problem with but we suggest that you access it via webmail to see. For example, if you’re having an issue with an Apple account, try to access it using a PC or Mac via a browser and see if you can send emails fine. If you can, then the issue must be related to a network restriction you’re connected to. If you’ll still be unable to send emails to any of your contacts though, it’s more likely an account issue so be sure to work with your email service provider. If you think you have an on-going network- or carrier-related issue (because you can send via webmail but can’t using your iPhone 6), try using another wifi (if you can’t send when on wifi), or talk to your carrier (if you can’t when on mobile data). For a possible wifi-related issue, try connecting to a different network to see. Otherwise, contact the wifi administrator or your internet service provider (not your cellular carrier) for support. If you’re having a problem with mobile data, that’s the time that you want to let your cellular carrier know. Solution: Hi Angelique. Like what we tell Eric above, there’s very little to nothing that an end user can do if an iPhone won’t turn on. There’s no software trick that you can perform in order to force the phone to turn back on. If using a different known working charger did not power the phone back on, the most likely reason for this problem is hardware malfunction. To know, you need to let a professional check it. We know this is an inconvenient route for you but it’s the only effective way for you.